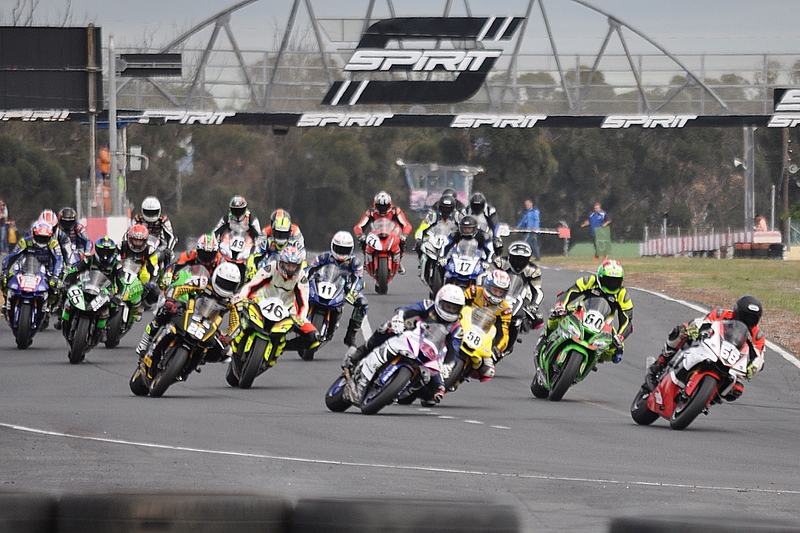 Arch-rivals Hayden Jonas (Samurai R1) and Ronald Slamet (PLM R1) delivered the dice of the day in the RST Suzuki South Superbike races after Jonas fought back from a poor start in Race 1 to grab the lead on lap five, holding on to take the win by just 0.035sec. Race 2 saw Hayden in front by the end of lap two, but he was unable to break the tow, with Slamet chasing him all the way to the line, coming home 0.389sec adrift after a duel that had the large crowd on its feet. Defending regional title-holder Brandon Haupt (Fueled Racing R1), racing for the first time since injuring his knee at the PE200 in November, finished third in both races, leading home a family effort – his brother Bernard finished fifth in both races and their father Peter 15th in Race 1 and 11th in Race 2. Hayden was quick to pay tribute to the sportsmanship shown by his rivals; he’d all but destroyed the Samurai R1 in a crash during practice a week before the race and, had it not been for hard-to-get Yamaha parts freely supplied by the Haupt and Slamet crews, he would not have had a motorcycle to race on Saturday. Super600 star Kewyn Snyman ran with the litre-class leaders in both races on the Hillbilly R6, posting a quickest lap of 1min12.686sec and coming home sixth overall in both races (the next Super600 finisher was GR Tax ZX-6R rider JP Friederich in 13th!) while Malcolm Rapson (Kawasaki ZX-10R) posted two eighth places to take the SuperMasters honours for the day ahead of Karl Schultz (ASAP World Suzuki GSX-R1000) and Peter Haupt. Veteran Wayne Arendse (Kawasaki ZX-10R) took over the lead of the first RST Trac Mac Clubmans race from hot starter Gareth Kenward (Kawasaki ZX-10R) on lap two and held it to the line, to claim his first outright win in the class he helped to found. Joske Kotze, meanwhile, came up on the JB Skips ZX-6R to demote Kenward to third, three laps from the end, just ahead of Dylan Croudace’s Ducati Panigale. 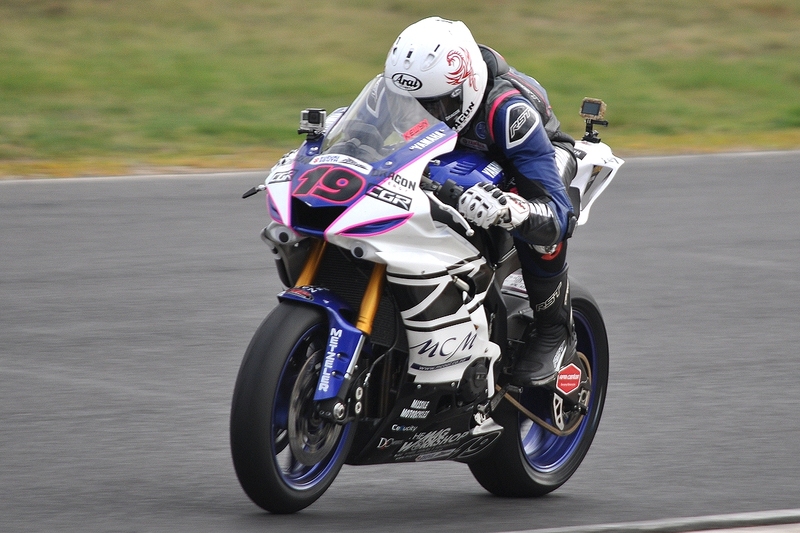 The second race was red-flagged after a lap and a half when Powersport star Zante Otto, out for the first time this season on the Otto Racing 600, crashed heavily going into the fast, double-apex Malmesbury Sweep. The re-start also lasted less than a lap; Kenward fell exiting Rose Foundation Sweep and wound up sitting at the edge of the track – at which point the race was abandoned. Willem Louw (Kawasaki ER650) was the only Powersport A Class rider to set a time in a treacherously wet qualifying session – and then crashed and was unable to take up his hard-earned first-ever pole position. Both race wins went to Andrew Liebenberg on the Calberg ER650, with Connor Hagan (NPH Electrical 300 Ninja) second. However, Hagan was subsequently disqualified for unsportsmanlike riding in Race 1, moving Jessen Samaai (KTM 390R) up to second, and first for the day in the Powersport 300 class.